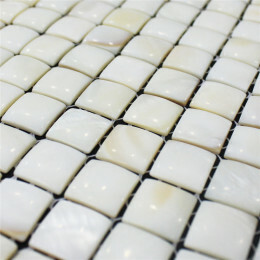 Mother of pearl tile was created by tile artisans who inlay the jewelry boxes. 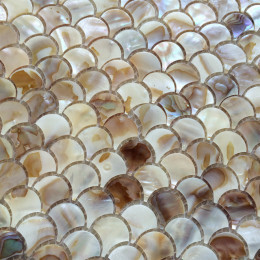 The natural iridescent finish and glittering marks on shells are deeply loved by customers. 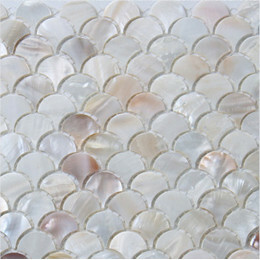 The mother of pearl shell tile was made of fresh river shell which are mostly in white color with yellow pink marks. 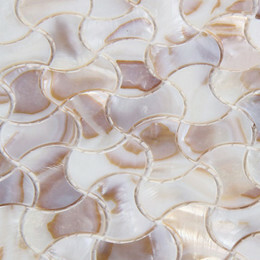 The mother of pearl mosaics is a subtly orchestrated gift from mother nature. 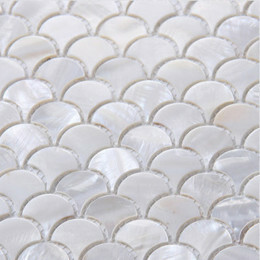 Walls sheathed in mother of pearl mosaic take on a translucent and enticing appearance. 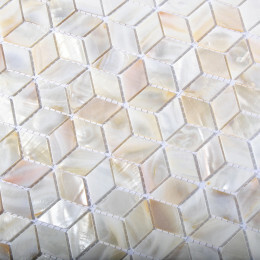 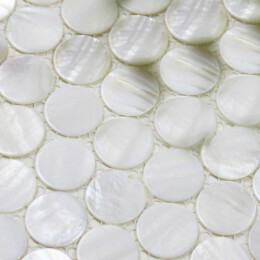 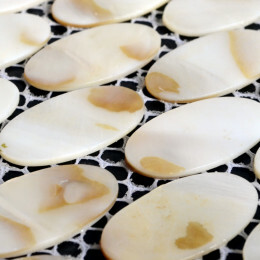 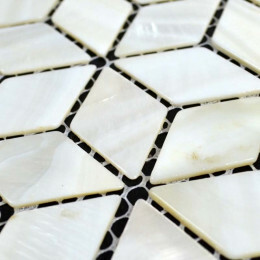 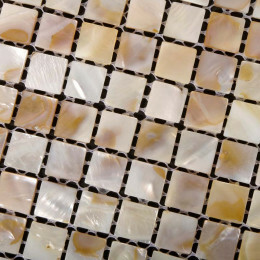 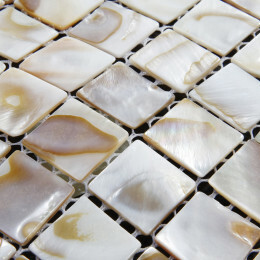 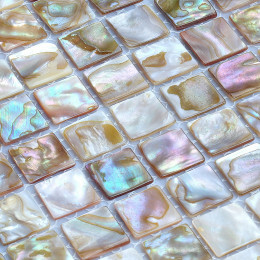 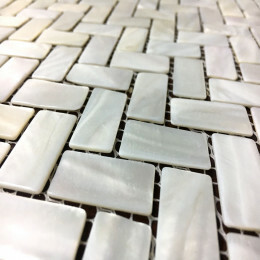 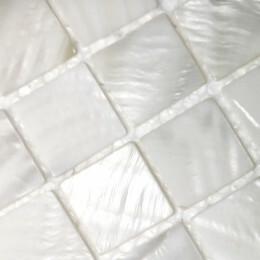 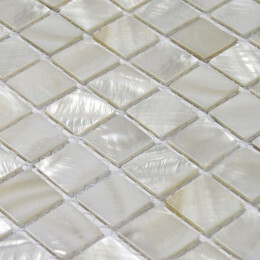 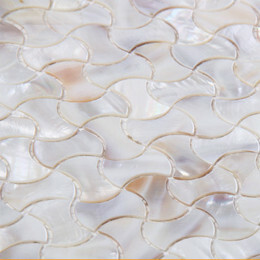 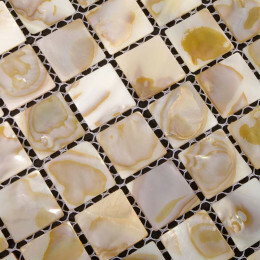 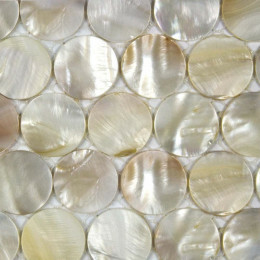 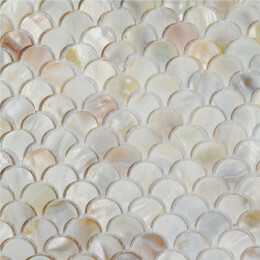 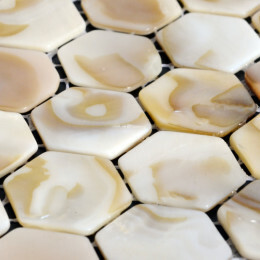 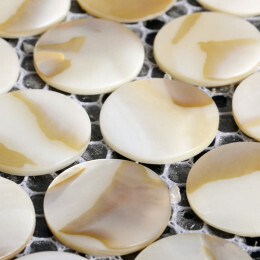 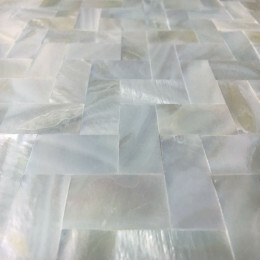 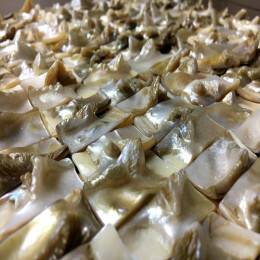 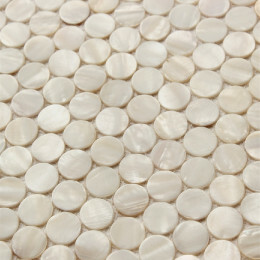 The mother of pearl backsplash tiles are perfect for your next kitchen or bathroom renovation.